Toba, my 3rd visit. Was it my last? 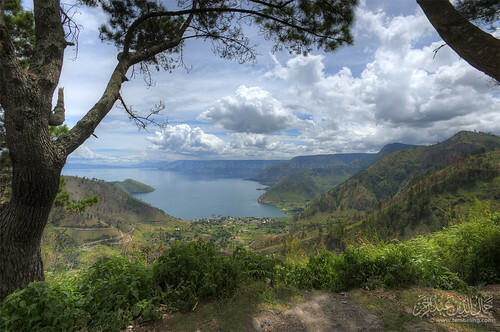 On 21st October, me & 7 other friends went to Sumatera with the objective to photograph landscape from Mount Sibayak and the beauty around Lake Toba. We planned this few months before and we did not know that the date coincided with Pesta Danau Toba. 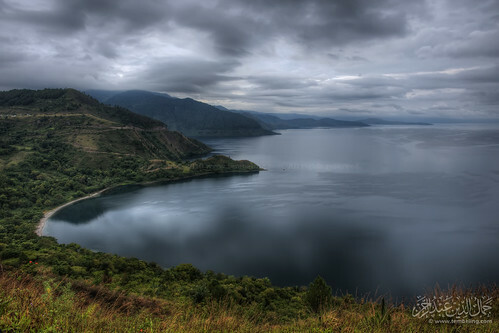 The visit was my 3rd time to Lake Toba, and the 2nd this year. Will that be my last? Maybe, unless I have extremely strong reason to go back. Sipiso-piso, Sidamanik, Parapat, Balige, Samosir (Tuk-tuk), Bakkara, Sosor Dolok, Silalahi, Tongging, Dolok Tolong, Hutaginjang, Berastagi & Tele are the places that I have been. New place that we went during the last visit was Tara Bunga. 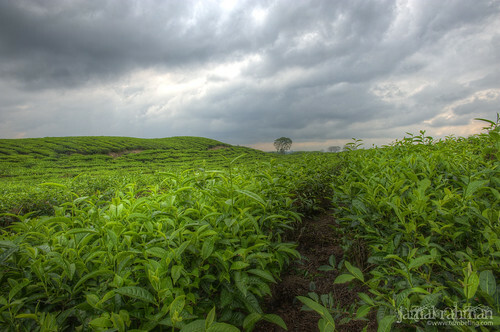 Tara Bunga is beautiful but we were unlucky as it was raining when we arrived. If I were to come back again to Sumatera, I plan to visit Padang & Acheh. 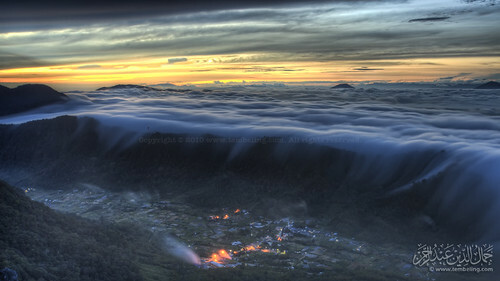 I still wish to climb Mount Sinabung and hope to photograph Lake Toba from its summit. 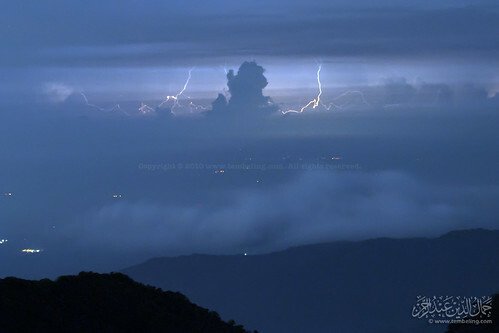 #1 Early morning lightning seen from Sibayak. At Balige, we went straight to Bang Sebastian Hutabarat’s art gallery. He is a photo enthuthiast too. He served a delicious fried Nila fish with rice and andaliman source. Since we were hungry, we ate a lot! Thanks Bang Sebastian! Then we boarded a boat to Tiara Buanga hotel which is still in the mainland but not accesible by road. We slept here, which was said as the place used to be visited by the country’s VVIP, including The President. It cost us IDR400,000 per room after a huge discount. The very next morning we went out & shoot sunrise. So unfortunate for me, I accidentally reformatted the whole CF card & then overwitten them with other pictures. Because of that I do not able to recover the files. Only few pictures left. We had our breakfast & immediately boarded the boat again to Balige town & continued our journey to Dolok Tolong, Hutaginjang and Bakkara. That day was the most hectic day of our journey. I might have shot > 1000 pictures for that one day if not because of the formatted CF. Basically we just went out shooting all the landscapes & human interest surrounding this great lake. 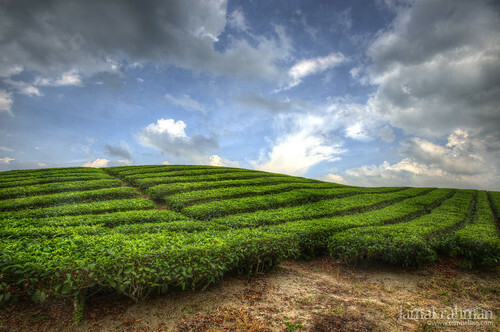 And indeed there were so many beautiful sceneries. 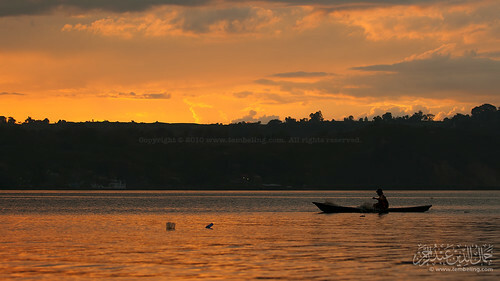 I simply love Lake Toba. First and foremost, I would like to thank Dr Budi from Medan for the great hospitality. He had sacrificed his precious time…and as a General Practitioner, the time he spent with us was so valuable & expensive! We can’t thank you enough doc!! He is a great photographer & one extraordinary friend!! Please visit his Flickr. For us in Kuantan, the trip started on Sunday, 20th. June. Me, Rejim & dR Ali drove from Kuantan to KL & reached Badang’s house at about 8PM. Badang treated us with great dinner at Greenwood Gombak. What a delicious catfish! Early Monday morning, Joe, our friend, sent us to LCCT. We met Remi & Emran. And alhamdulillah, the web check-in really helped speed up all the process. We need not to que too long to drop the luggages. Bravo AirAsia. We boarded the first flight to Medan. We reached Polonia Airport at about 7:30AM. There was this new Indonesian immigration process & that delayed the clearance a bit. We waited for Dr Budie for a while. Dr Budie arranged two vans to cater the six of us. Initially, me, dR Ali & Rejim rode together with Dr Budie in his new Grand Vitara, while Badang, Remy & Emran rode Grand Max with Pak No. By 9AM we were already moving to Tebing Tinggi. 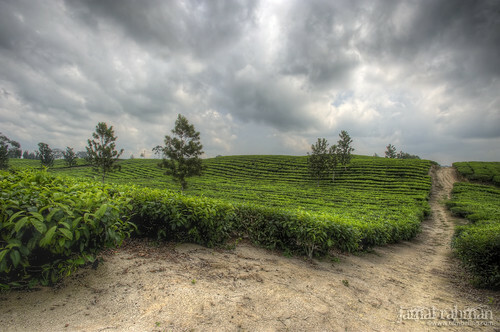 From Tebing Tinggi, we drove to Sidamanik, a tea plantation area which was I very first stop. We were a bit unlucky because the weather was not that great. Nevertheless we managed to shoot few simple shots. 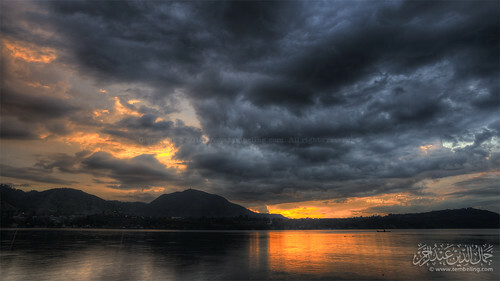 I used bracketing for the shots & later merged & tone-mapped all the exposures into a HDR image using Photomatix Pro. From Sidamanik we drove to Parapat. It was raining most of the time. We stopped & prayed at a mosque there before we continue the journey to Balige. Jamal Rahman on Genting Highland – Finally I did it! Seng Hong Tar on Genting Highland – Finally I did it! Copyright Jamal Rahman 2002-2011. All rights reserved.